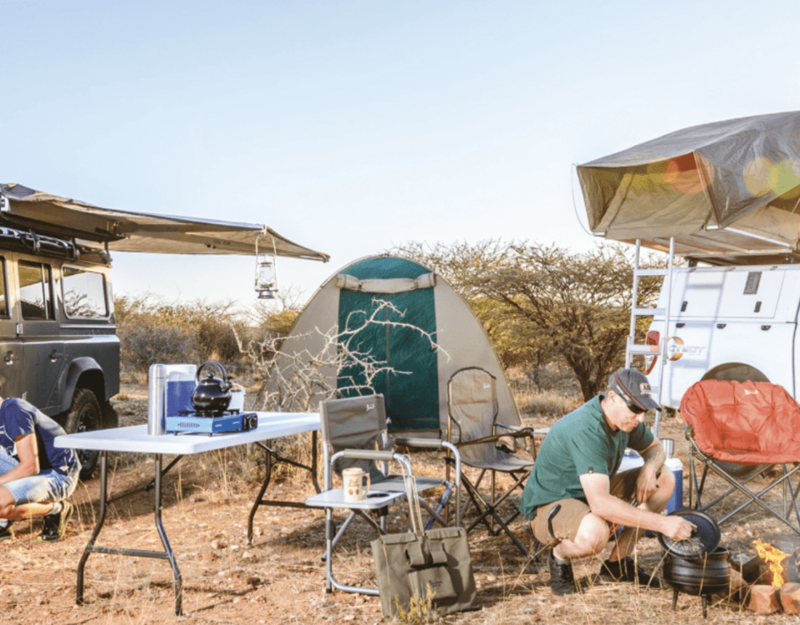 Researchers from the Cheetah Conservation Fund (CCF) go out into the thick thorn-ridden bush near Otjiwarongo three times a week to measure and survey the vegetation and count the visible numbers of small mammals, reptiles and birds in specially set-aside tracts of land. CCF public relations officer Theresa Thompson reports on the baseline survey work that is currently being done as part of a five-year ecological study into bush encroachment by the CCF. Funded by a US$1 000 000 grant from USAID (2001), the CCF’s pilot bush encroachment project is aimed at enhancing the long-term survival of the cheetah and other indigenous species on Namibian farmlands by developing a habitat improvement programme that is both economically viable and ecologically sound. The objective of the project is to address the problem of bush encroachment, and in so doing not only to restore habitat for the Namibian cheetah and other wildlife, but also to find economically viable uses for the cleared thorn bush. Bush encroachment – the unwanted proliferation of tree species that form thick, impenetrable bush which takes over from native grasses on previously open land – is a critical issue for Namibia. The resulting imbalance between native bushes and grasses in the former mixed savannah ecosystem reduces the carrying capacity of the land for livestock and wildlife. Consequently, as a result of bush encroachment, less land is available for grazing. Productivity in nearly one third of Namibia’s farmlands has decreased significantly over the last thirty years due to bush encroachment, caused primarily by poor land management practices that lead to overgrazing by cattle. A survey of the north-central commercial farmers by the CCF in the early nineties showed that there had been little or no thick bush in the area before farms were established. One farmer stated that he needed twice as much land to graze the same amount of cattle than in the previous decade. Wildlife migrated to natural water points, thereby lessening the chance of overgrazing the land. Cheetahs need large tracts of open terrain to hunt effectively. Bush that is too dense causes problems by reducing the cheetah’s hunting efficiency, while thorns can seriously injure the cats, causing eye damage and blindness. Bush encroachment also alters the abundance and distribution of prey species. Three key tree species that cause bush encroachment are being studied in eight experimental plots on CCF land: Acacia mellifera, A. tortillis and Dichrostachys cinerea. Methods of harvesting thickened (encroached) bush will be tested and monitored and a scheme will be devised that is appropriate to farmland habitat and beneficial to Namibians in terms of the commercial benefits of the cleared bush. The CCF plans to develop an international market for bush-based products such as charcoal, and to market a fire-log product made from bush chips locally as an affordable alternative to wood harvesting, thus helping to reduce deforestation. Conservation-oriented marketing and informational labelling of the fuel log will enhance global conservation education, while the areas cleared will directly and indirectly benefit cheetah by restoring habitat and providing income for further conservation activities. Phase I – ecological research, experimental harvesting and refining. Phase II – operational implementation – reduction of bush encroachment, bush processing, manufacturing and exploration of export markets and ongoing ecological monitoring. Phase III (funded from net profits generated from the initial pilot project) – evaluation and adaptive management, income and employment generation, and evaluation of community benefits from bush harvesting. Depending on the results of the pilot project, habitat restoration efforts will in time be scaled up to restore cheetah habitat in an ecologically appropriate way. Protective management mechanisms will furthermore be put in place before larger scale operations begin to ensure that the long-term impacts of the project are always evaluated ecologically.